One of the changes to federal tax reform suspended a number of tax deductions for business costs that had been on the books for years. One of those may impact some of your workers, but you may be able to help them out. As blogger Barbara Weltman explains, if employees pay for some business expenses, such as using their own car on company business, they won’t be able to deduct anything. 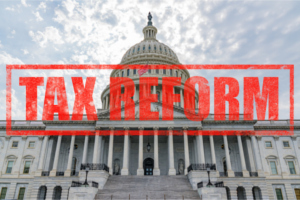 The Tax Cuts and Jobs Act suspended miscellaneous itemized deductions subject to the 2 percent-of-adjusted-gross-income floor. As an employer, however, you have two options. Use an accountable plan. This would allow you to reimburse employees for company-related expenses in a way that avoids any taxable compensation for them and any employment taxes for you. You can adopt an accountable plan at any time of the year. Treat workers as “statutory employees.” Workers who qualify are permitted to take write-offs on Schedule C. There are 4 categories of such workers: delivery drivers, life insurance sales agents, salespersons who workwith products sold for resale, and home workers using materials you supply. Each category has a number of qualifications, so be sure to read the fine print.